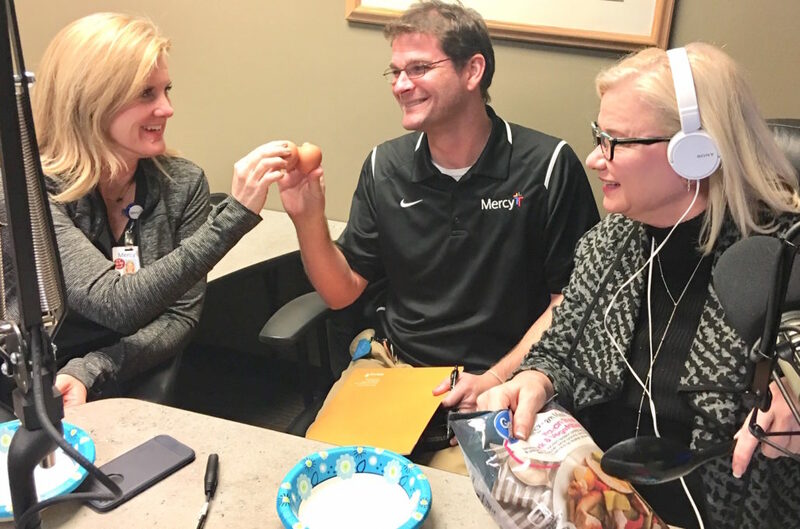 PART THREE of Mercy Fitness Center Continuum Care… A Healthy Body & Mind will work together, Integrating a positive & knowledgeably relationship with Food & Fitness! Wesley King is the General Manager of Mercy Fitness Center I-35 in Edmond. Wes has 20+ years’ experience in the fitness and aquatics industry and has a passion for medical fitness. He authored an Aquatics Operations Training Manual and completed his Medical Fitness Association (MFA) Fellowship in early 2018. Wes and his wife are proud parents of a 5-year-old son and 21-month-old daughter. Lori Manning, RD/LD, has been an Outpatient Dietitian at Mercy Hospital since 1997. Lori is an experienced expert and counsels clients in all areas of Diet & Nutrition for Mercy Fitness Center I-35 in Edmond as well as Mercy Hospital. Lori graduated from the University of Oklahoma in 1994 with a Bachelor of Science in Nutritional Sciences. Lori’s mission is to help individuals achieve optimal wellness through a Healthy Lifestyle Medical Nutrition Therapy.